In the summer of 1991 I smuggled my father’s VHS recorder out of our living room while he was at work, with the intent of dubbing a copy of Blind skateboard’s first full-length release, Video Days. It was that big of a deal. That afternoon I sped home, got a written warning for going 58 in a 40 zone, returned said recording device, and began watching Video Days so often that I wore the cassette out by the end of the year, filling the screen with glitches and static. As skate films migrate online, people who remember copping hard copies of their favorite releases might be terrified that the Internet is ruining everything. But the upshot is that making skate videos is so cheap now that anyone can do it, and this has been a gift to skate filmmaking. 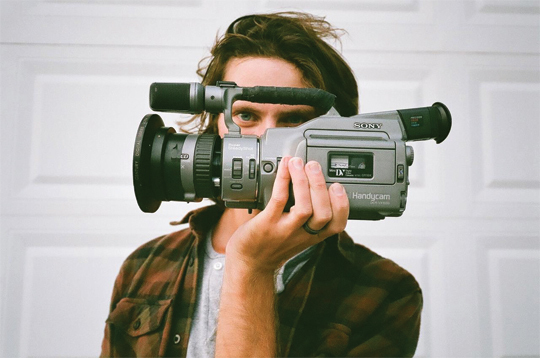 Filmers like Peter Sidlauskas, William Strobeck, and Ryan Garshell all encapsulate the creativity of modern indie skate vids in the Internet age, and their individual aesthetics are the most referenced by the new generation of YouTube skate filmmakers, who are simultaneously finding their own voices. Featured here are the crews whose efforts over the last year or two show the most promise. They’re giving even the most analog-loving old schoolers a reason to get excited about the future of skate video. As Philadelphia waits for Love Park’s inevitable remodeling, Panebianco’s videos document the pockmarked streets and tall print tags in the gritty City of Brotherly Love. 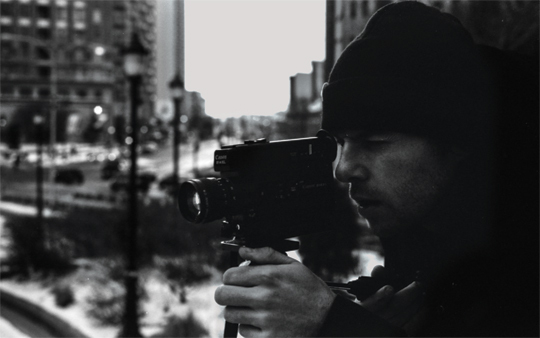 Like Dan Wolfe putting Philly on the map in the ’90s with the Eastern Exposure series and Sub Zero Real Life, and later William Strobeck documenting new talent at Love Park through Alien Workshop and Habitat’s videos, Panebianco employs stark VX grit, keeping tradition alive. Panebianco works with lesser-known, but highly talented locals, as well as big name pros who are comfortable filming projects with Panebianco they aren’t getting paid for-—access your average amateur doesn’t get. including web clips, b-roll edits, raw footage, and full-lengths. Wilson’s style is his lack of one; unwed to any one soundtrack or terrain, his clips capture the unpredictability and spontaneity of skating in each of the five boroughs, where visitors pass through and spots are born and die in a day. He also had a big part in launching the career of recent Polar skateboards addition Cyrus Bennett, who often stars in Wilson’s clips. Many see Wilson as the People’s Champ of skate filming. If being the most fashion-forward in your office is your concern, hit the Dime web store—this brand is on the cusp of a Palace-style breakout. But if you’re more interested in raw North American skateboarding set to hip-hop, or homages to the minutiae of skate heritage, peep their videos. Start with “Yellow T-Shirt History,” a supercut of classic parts featuring skaters wearing yellow t-shirts, set to a painfully literal soundtrack of Coldplay’s “Yellow.” Weird and original, Dime’s videos both celebrate and lampoon absurdity in skating. Shane Auckland’s first video, Sk8rats is also now the name of a full-blown brand that makes yoga pants, booty shorts, and sports bras in addition to the usual boards and tees. A grainy, avant-garde inside joke, Sk8rats’ $8.00, full-length DVD features Cory Kennedy, Jake Shumaker, Sebo Walker, Jesse Alba, and more, not remotely giving a damn. And not in a GG Allin, nihilistic sort of way; the Sk8rat brand is just the opposite. The ’rats just roll, making the crappiest spots look awesome while reminding us that skate vids aren’t just “stress montages” and toothy high-fives (but those happen, too). Imagine being 13 and having a house in which you can do whatever the heck you feel like. That’s Boston’s Fancy Lad crew in their “House” videos—except they’re grown men. They skate every part of an abandoned house in the most ridiculous, sometimes dangerous ways possible. It’s not Jackass, but there’s plenty of anarchy. Packed with serious tricks, dork tricks, weird tricks, and just tricks, Fancy Lad are perfectly awkward and impromptu. They embody the whole “no idea is a bad idea” ethos, and then hit record on their cameras.